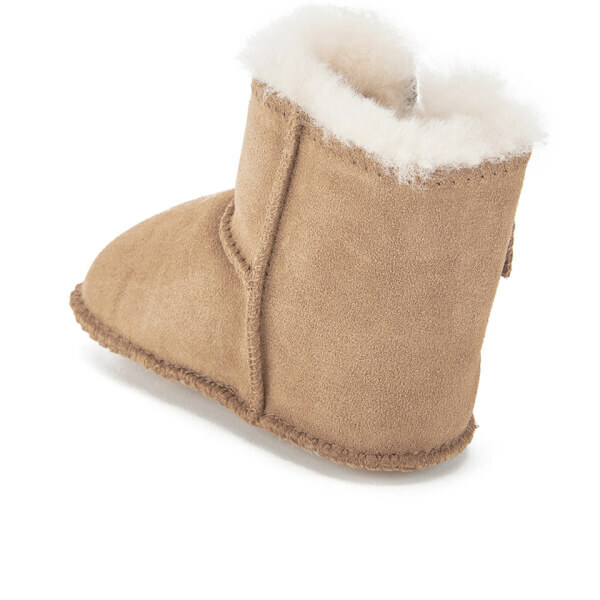 Babies' suede UGG boots with signature, plush wool lining. 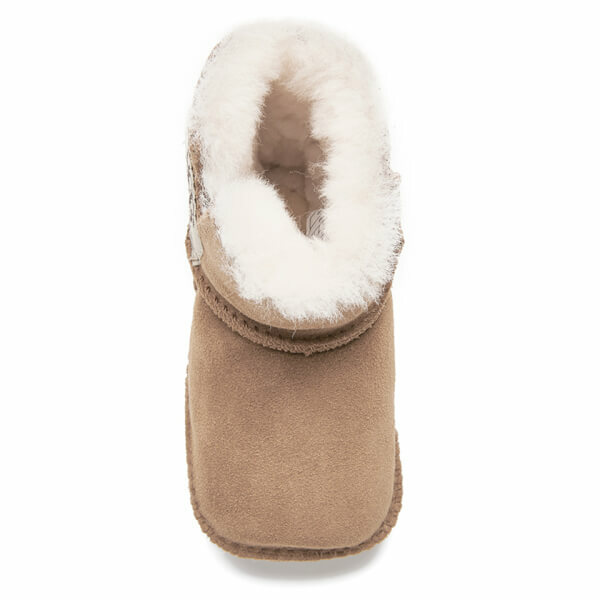 Crafted from genuine twinface sheepskin, the 'Erin' booties feature a simple hook-and-loop closure for easy dressing, and a soft cow suede outsole. 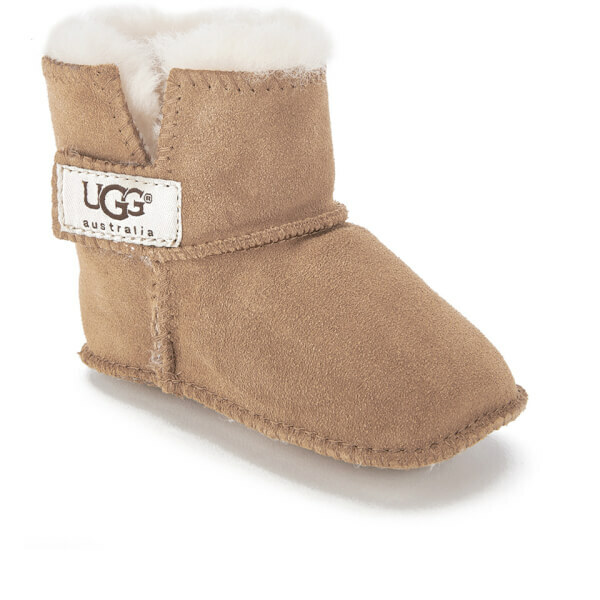 Complete with 17mm twinface lining and iconic UGG branding to the side. Upper and Outsole: Suede. 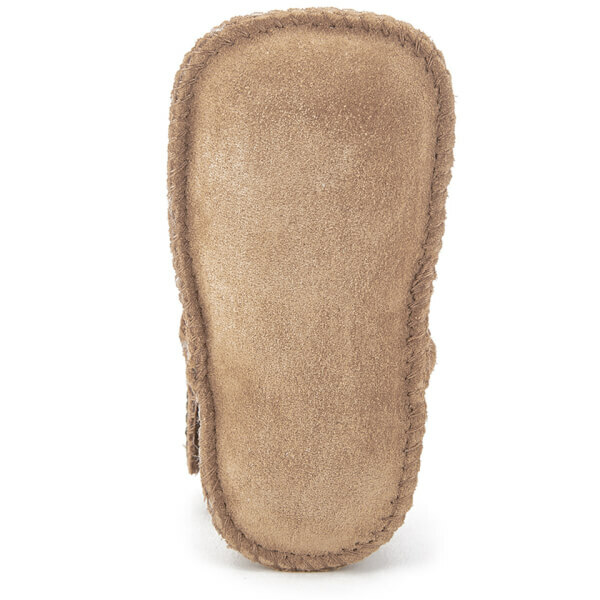 Lining: 17mm Twinface Sheepskin.